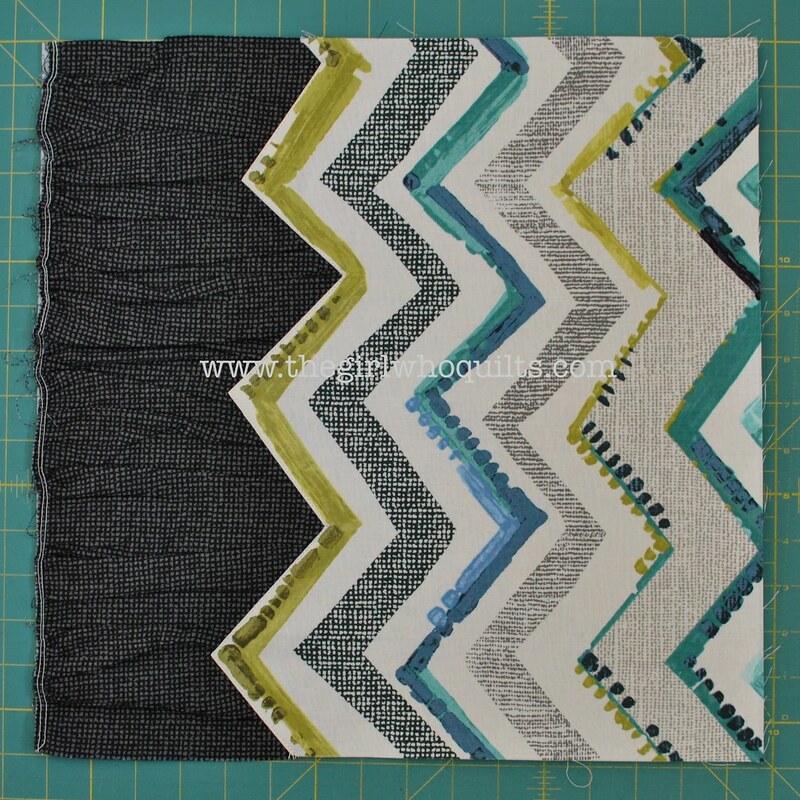 It's Day 4 of our hop, and today Nikki from The Girl Who Quilts is here, sharing a cool gathering and fusing technique to make a textured pillow topped off with a zigzag print from Contempo's Cachet collection. We hope you enjoy her tutorial! Don't forget to scroll to the bottom to see how you can win some Cachet fabric for yourself. Happy Monday, everyone! My name is Nikki Maroon, and I blog over at The Girl Who Quilts. 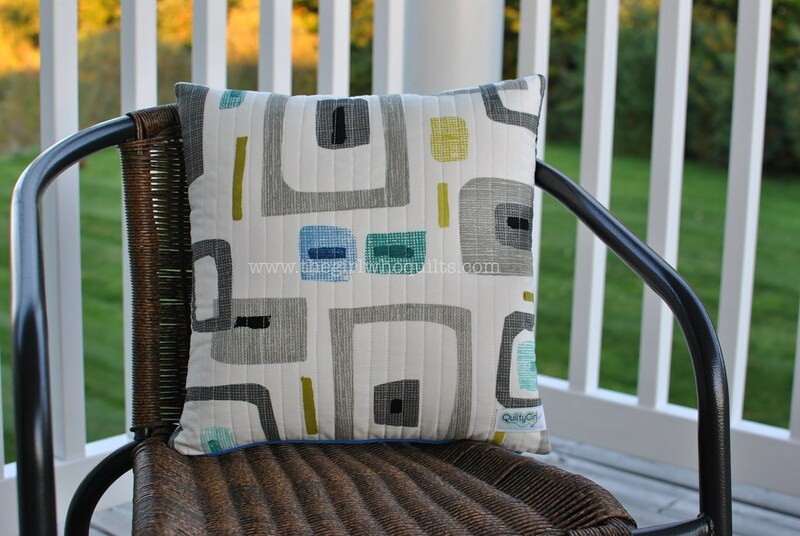 Today I'm going to share with you a tutorial for a super easy throw pillow made using the Cachet fabric line. I really like the watercolor look of this line. 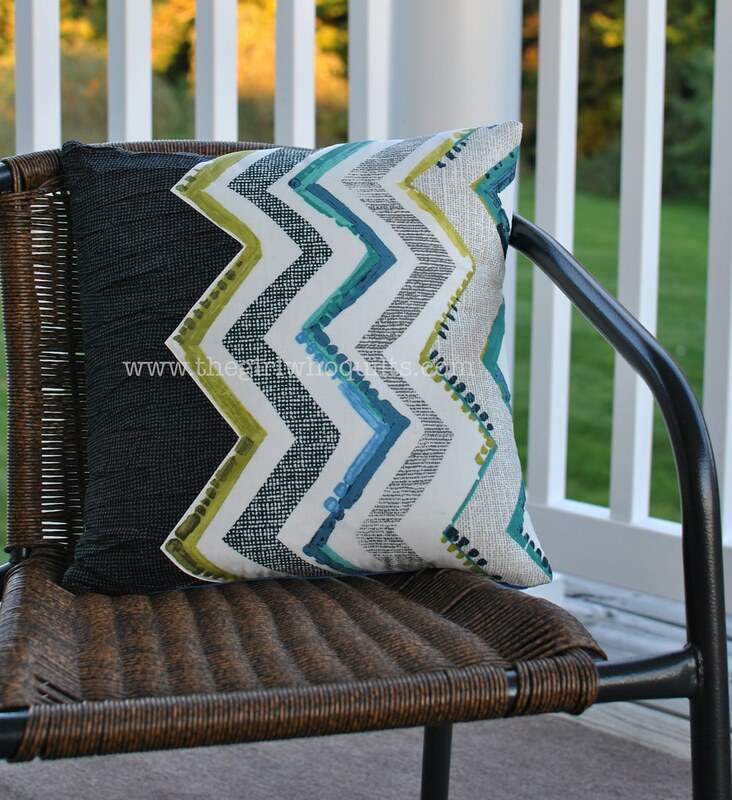 The zigzag print is definitely my favorite, which is probably why I decided to design a pillow around it! 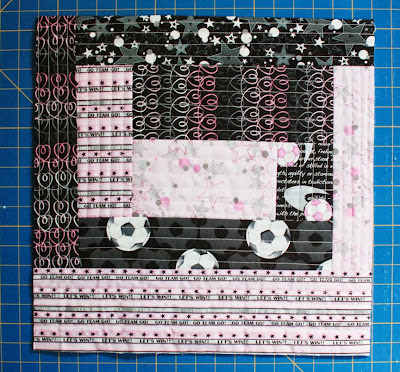 Backing (squares print): 16" x 16"
Lightweight fusible interfacing - not shown: 16" x 16"
We are going to gather the coordinating print, so let's start by sewing gathering stitches down both long sides of the 8" x 32" piece. 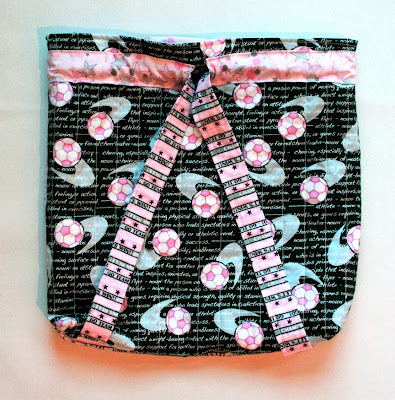 To do this, set your sewing machine stitch length as long as possible. 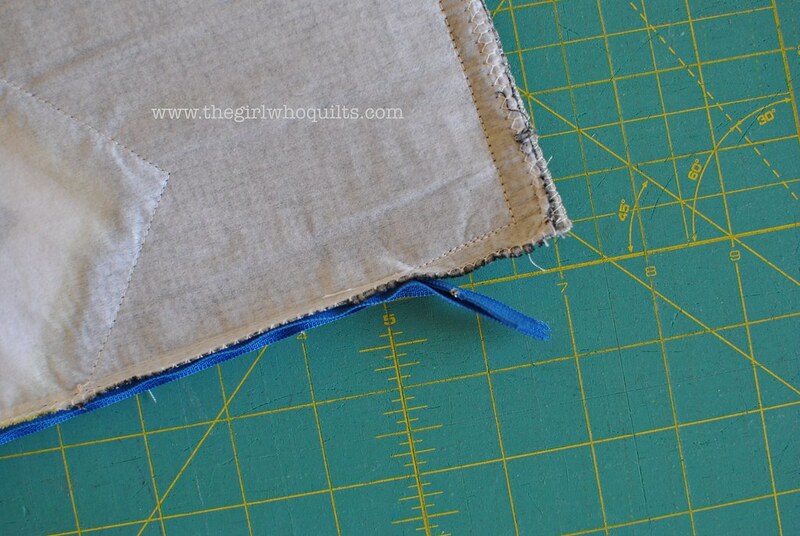 Leave at least 3-4" thread tails at the beginning of your seam and sew about 1/8" from the raw edge. 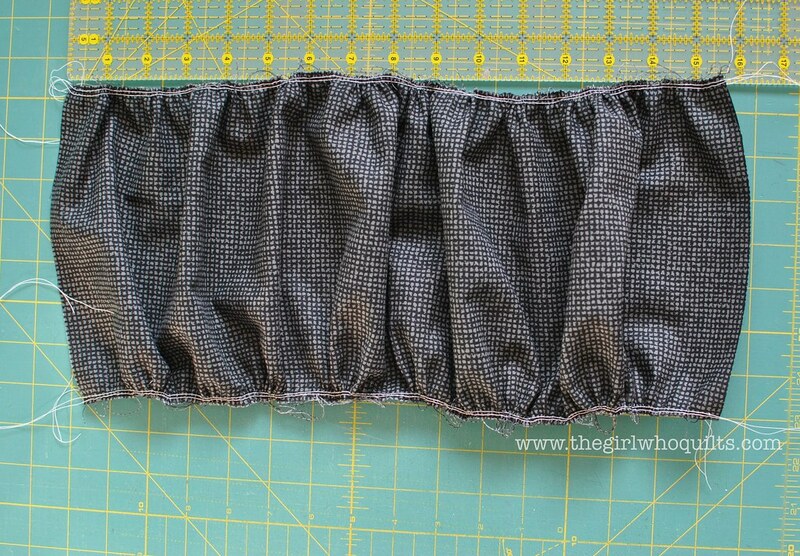 Leave 3-4" thread tails at the end of your seam. 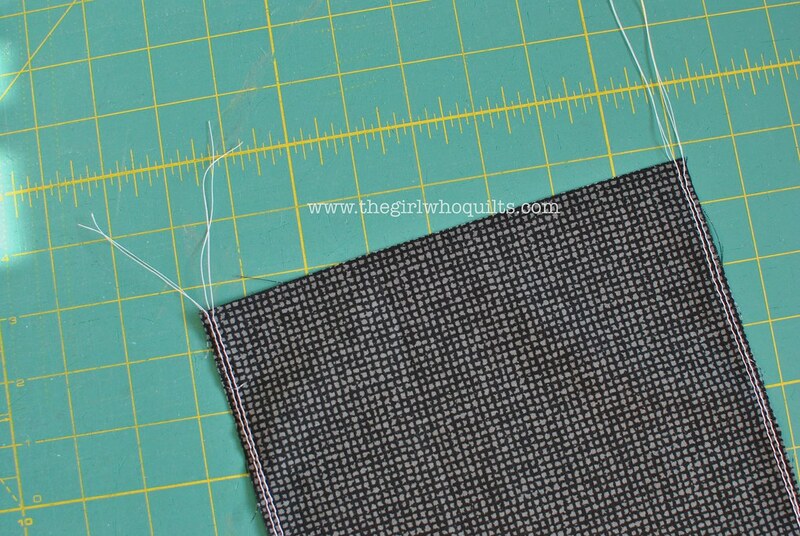 Sew another row of stitches in the same manner about 1/4" from the raw edge. Repeat on the other long edge of this piece. 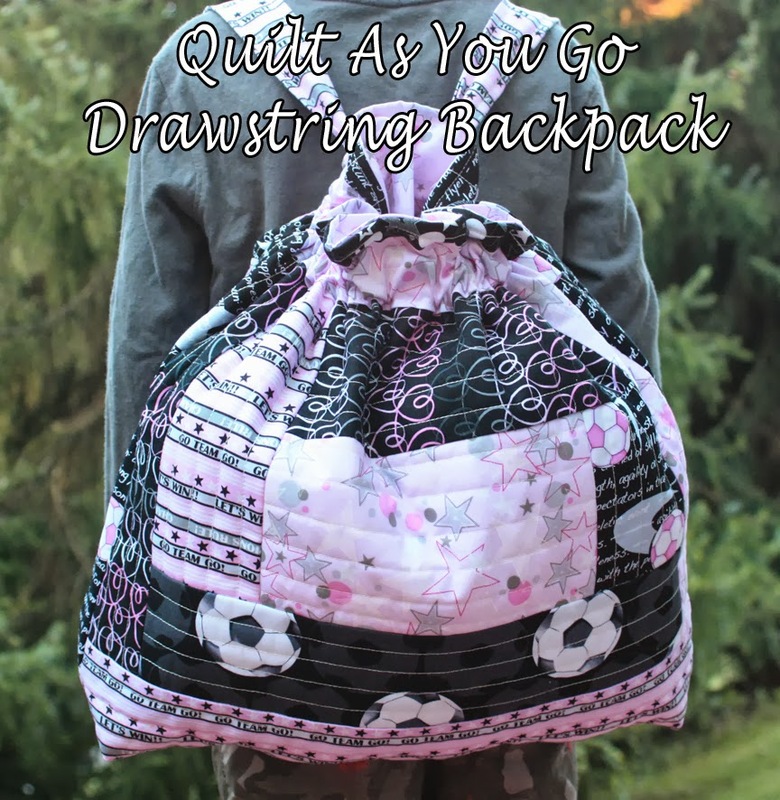 Now find both of the top threads on one side and gently tug those threads to gather the fabric up. Do this slowly and gently so as to not break the thread. Repeat on the other side. 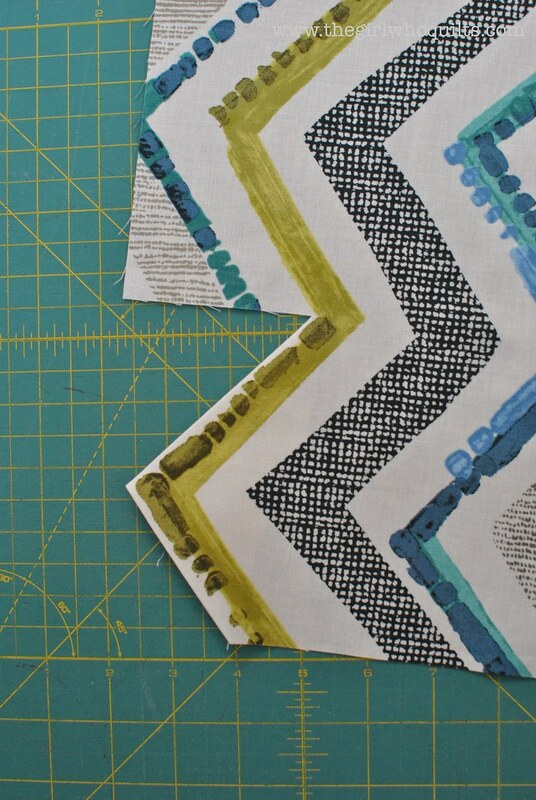 Evenly distribute the gathered fabric so that the piece is now approximately 16" long. 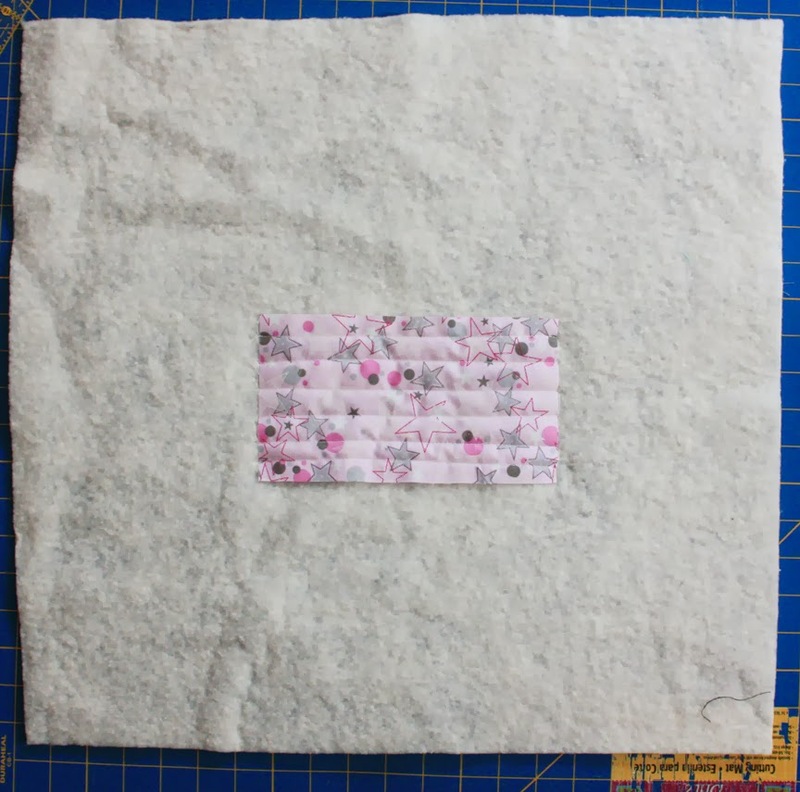 We are going to fuse this gathered piece to the 16" x 16" square of fusible interfacing so that it is easier to work with. It doesn't need to be perfect, and you will end up pressing your gathering as you fuse. 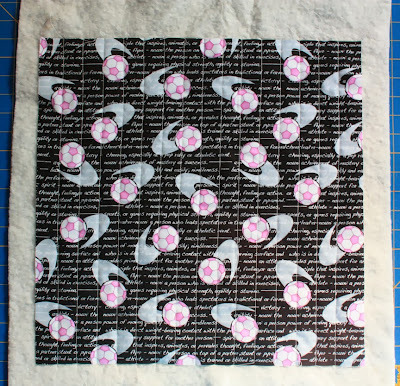 Don't worry, all of the "wrinkles" will look great on the finished pillow! 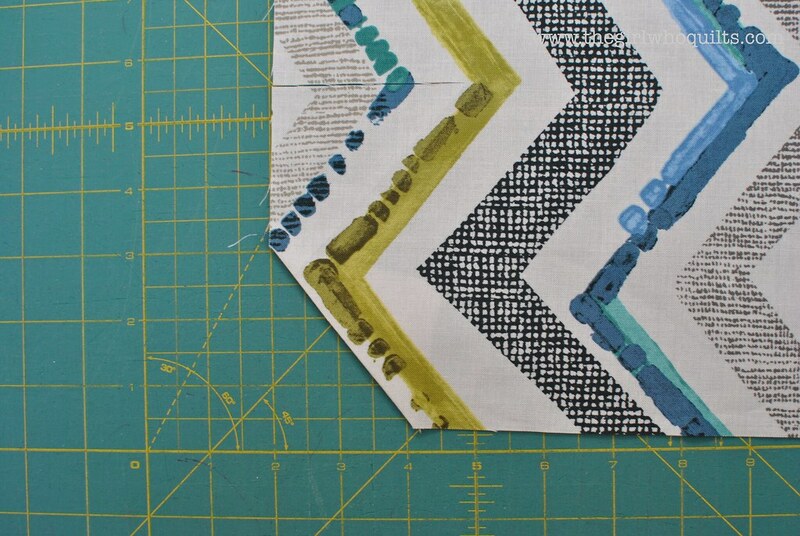 Begin by aligning one gathered edge to the edge of the fusible. Lightly fuse the piece so that you can lift it and move it slightly if you need to. When you're happy with the placement, press it once more. Next we will prepare the focal print. 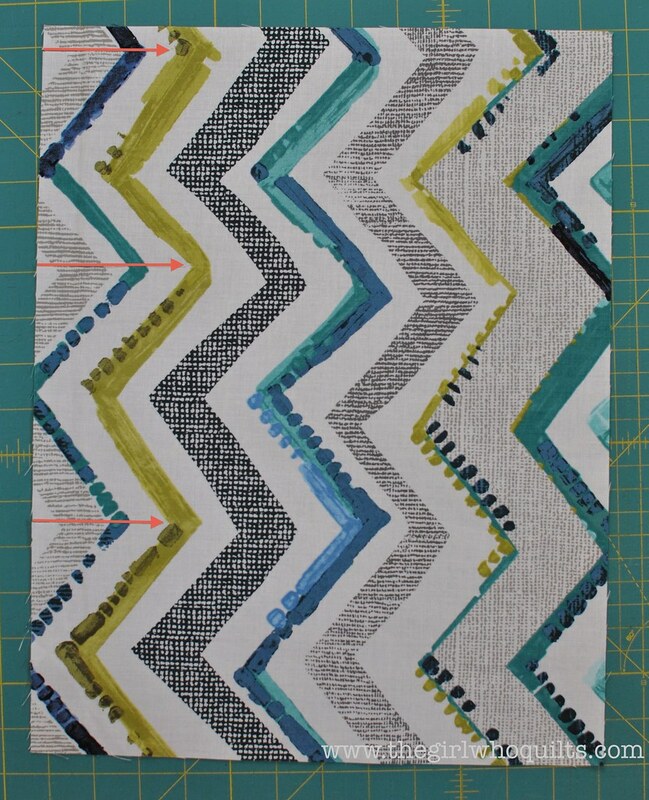 Cut slits into the fabric as shown with the red arrows below. 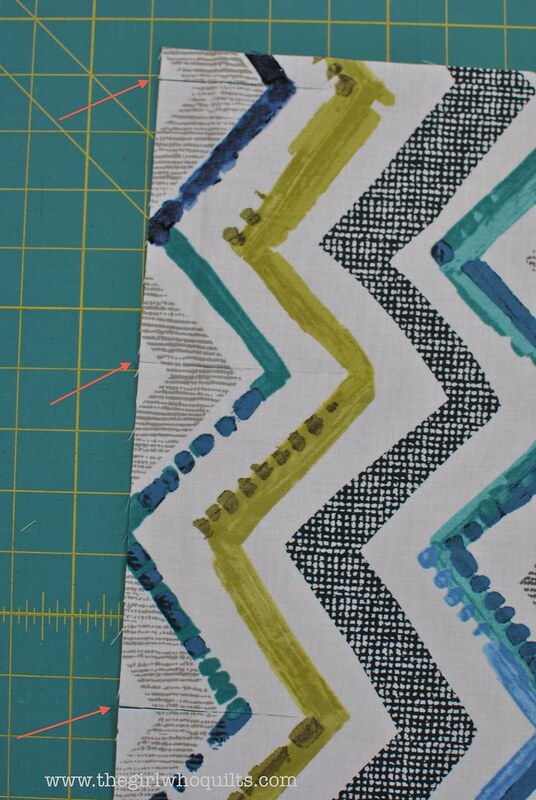 I followed the zigzag print of the fabric, so my cuts aren't even or uniform. 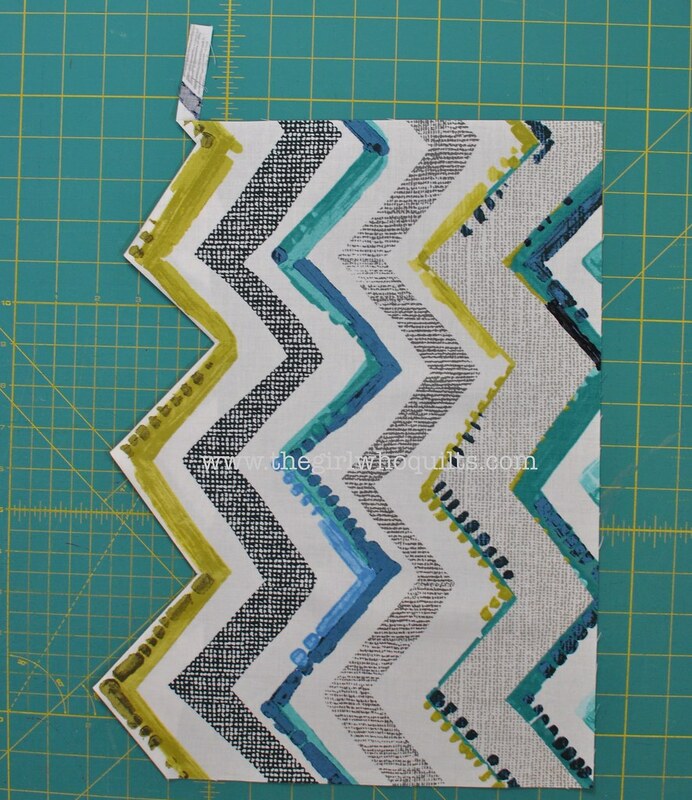 I chose to cut up to about 1/8" from the lime green zigzag so that the cream background would show. 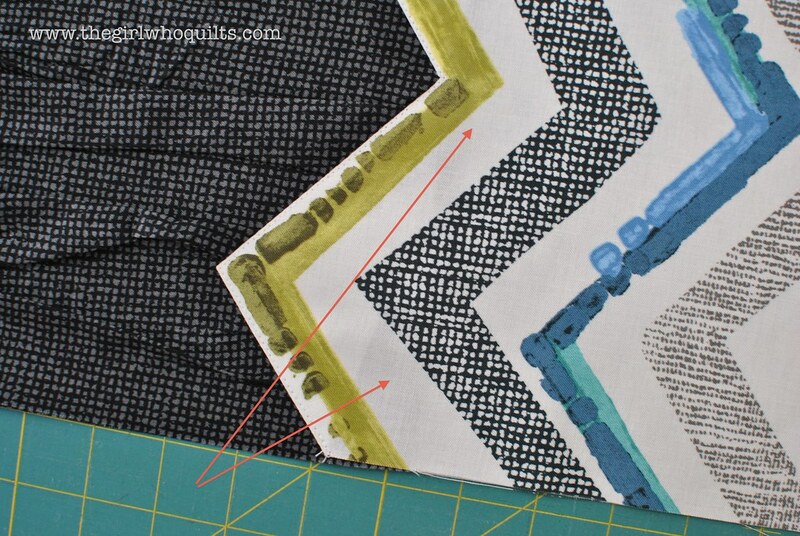 Starting at one corner, fold the corner to the back following the zigzag. 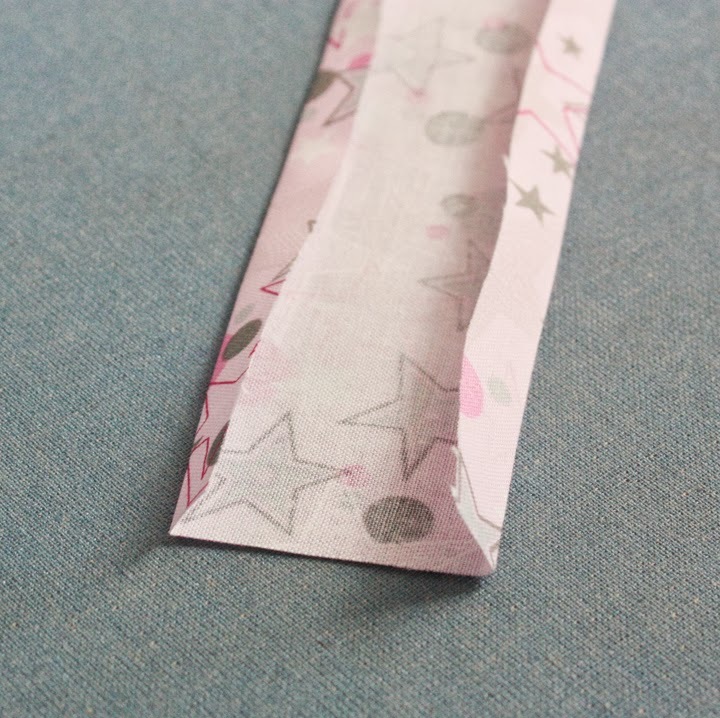 Fold one edge and press before moving on to the next fold, always following the print for guidance. 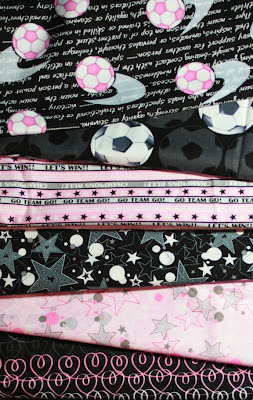 Continue up the side of the fabric. This is how your piece should now look! I clipped away that little piece of fabric at the top. 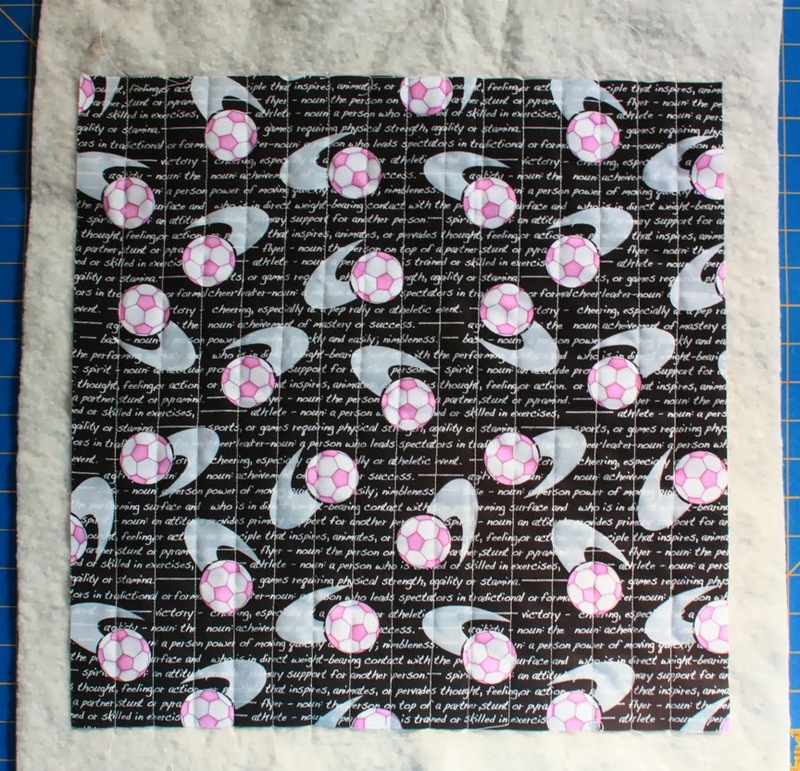 Now place the focal print on the fusible interfacing. 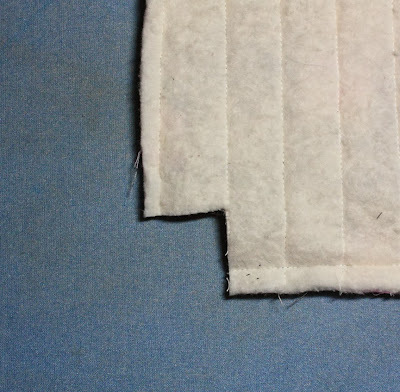 Align the raw edges and lightly fuse in place. 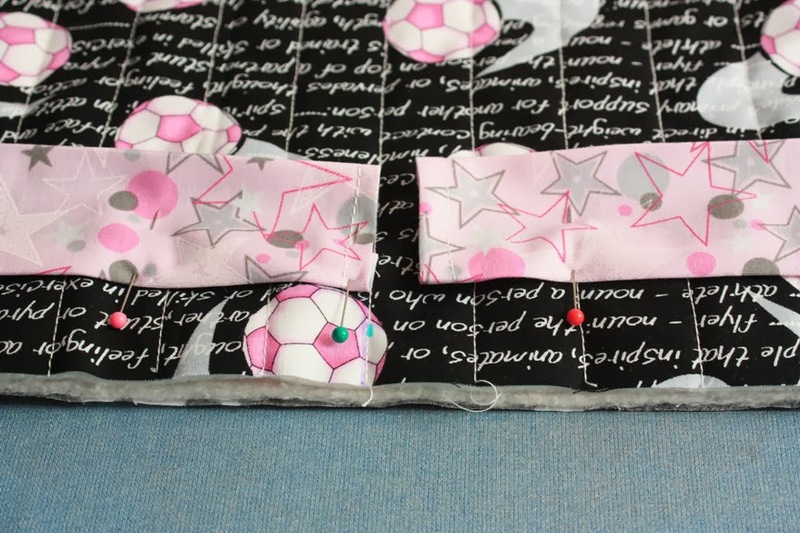 The points will overlap the gathered fabric, so they will not fuse down. Pin the points down as shown. 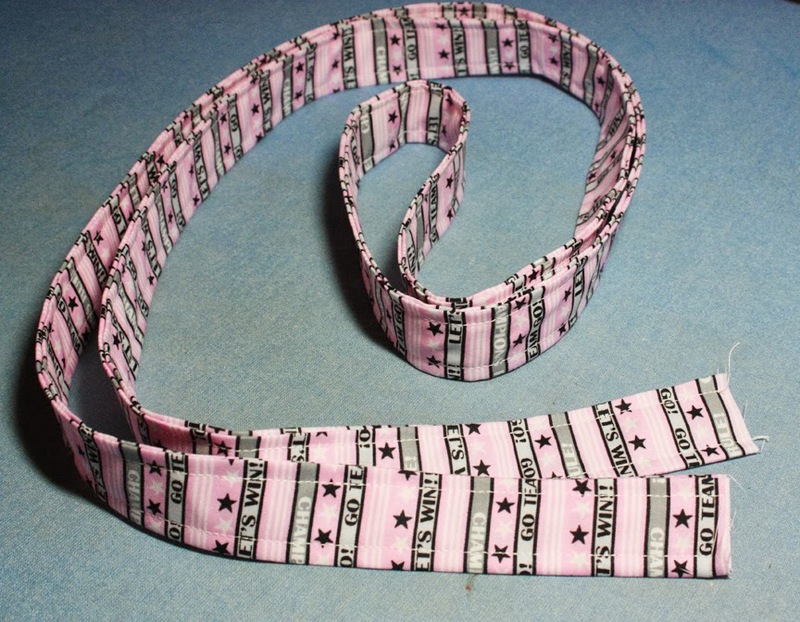 Now it's time to sew again! 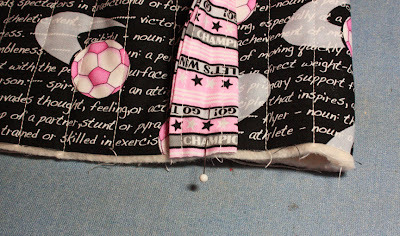 Set your stitch length to about 2.5 and use a thread that blends with your focal print (I used cream here). Topstitch the folded edges of the zigzag. 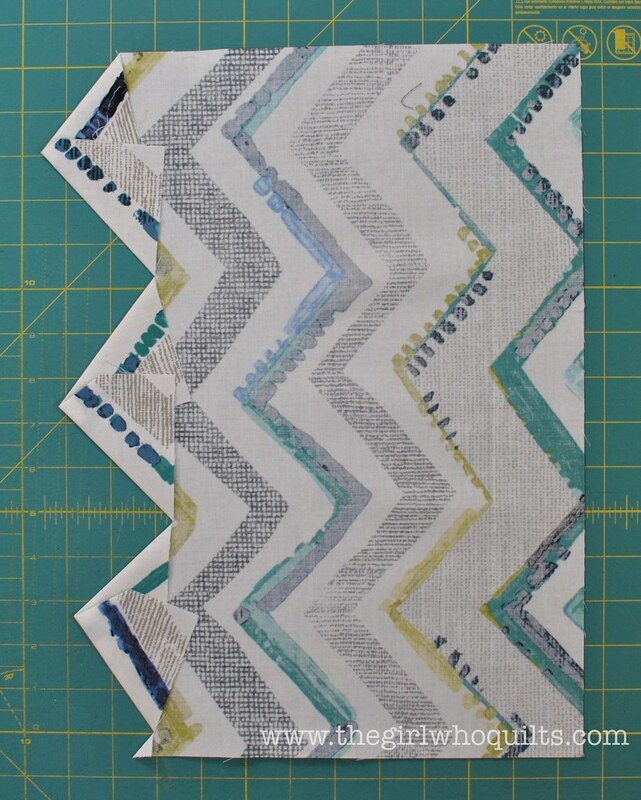 If you'd rather, you can use a zigzag stitch instead of a straight stitch for this step. Remove the pins as you sew. This next step is optional. Do you see the shadowing caused by the black fabric underneath the cream? 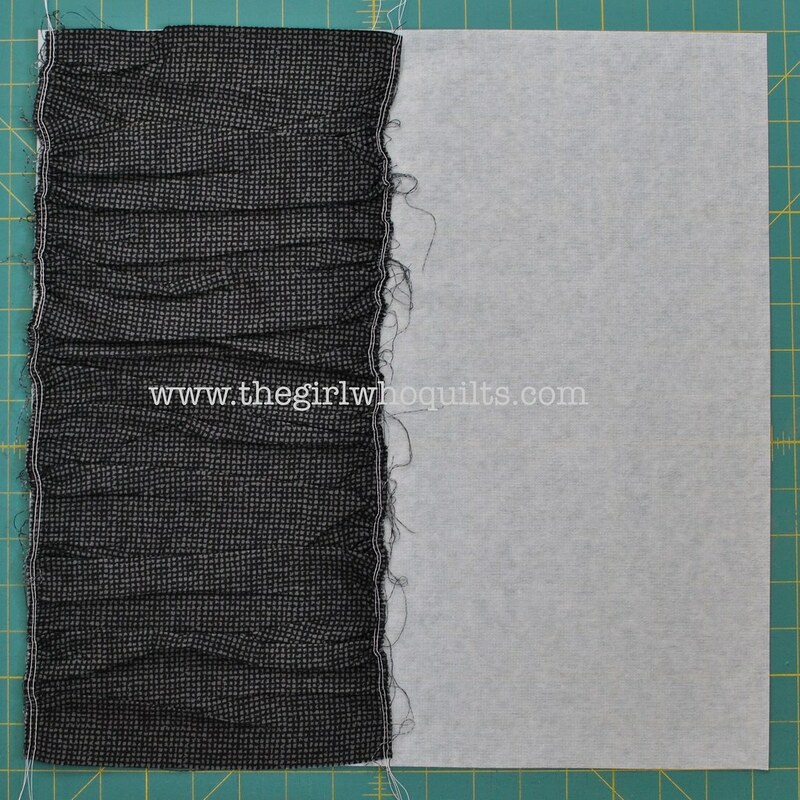 Because we *lightly* fused the pieces down, we can go back and peel the fabric up from the interfacing. Now CAREFULLY trim away some of the fabric underneath as shown by the red arrows. 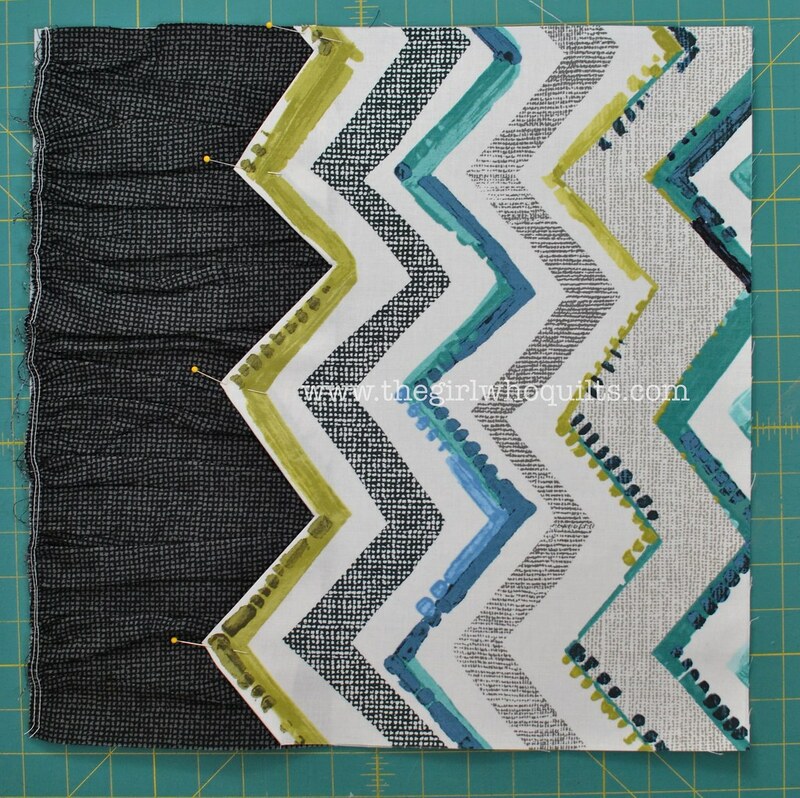 When you're done, fold the fabric back down and fuse back onto the interfacing. Let's put the pillow together! 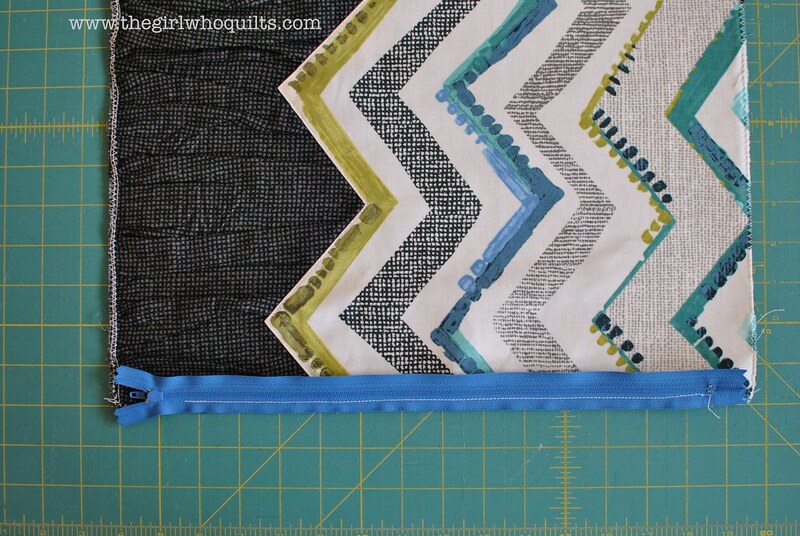 I like to zigzag stitch or serge the raw edges of my pillow front and back before assembly. 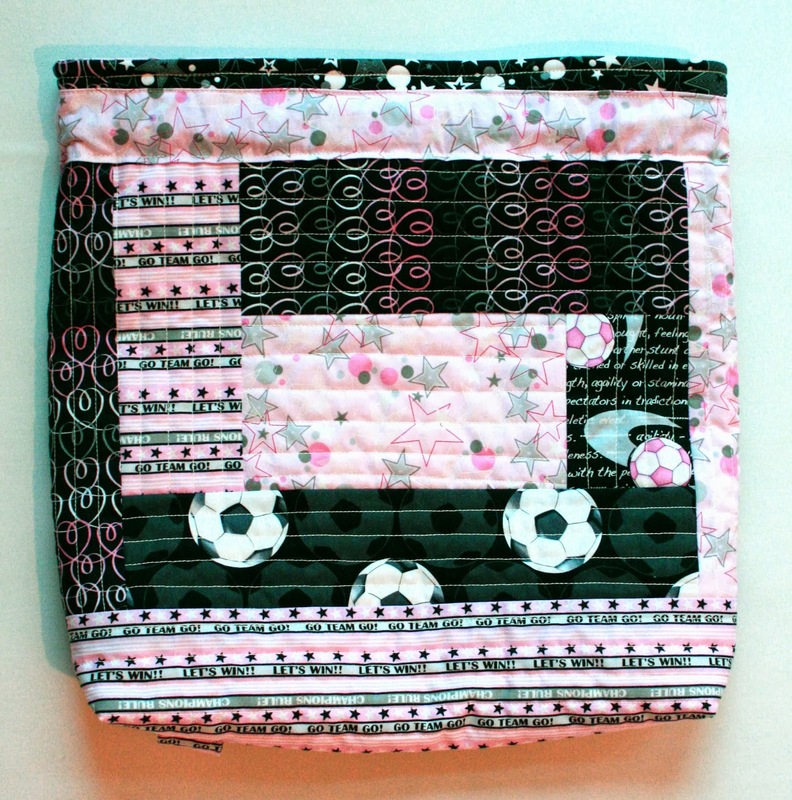 You can also quilt the front and/or back of the pillow. 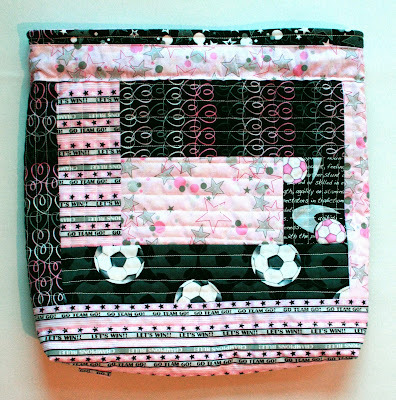 I chose to quilt the back with straight lines. 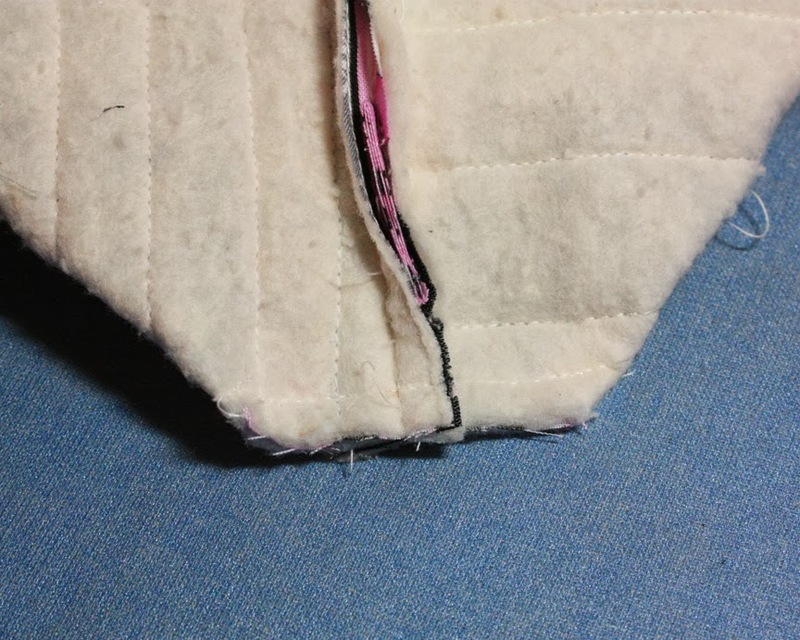 To install the zipper, place the zipper down along the bottom edge of the pillow front and sew down using your zipper foot. I start and stop my stitching 1-2" in from the pillow corners as shown below (my stitch line is the white thread on the blue zipper). 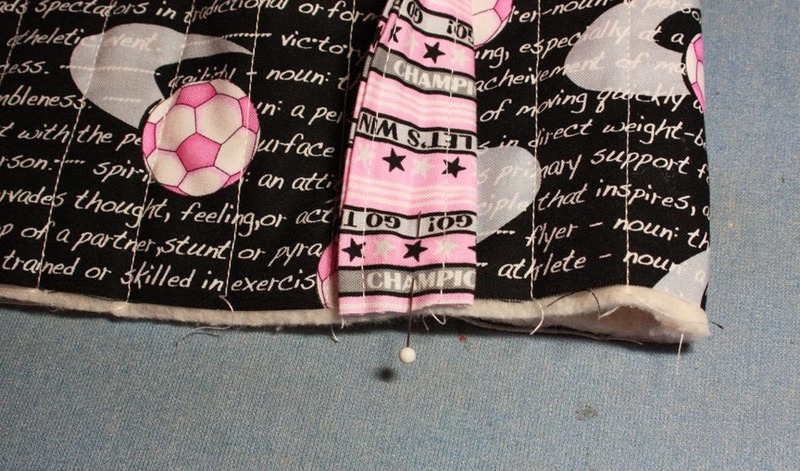 Now sew the other edge of the zipper to the pillow back. Open up your zipper at least half way. 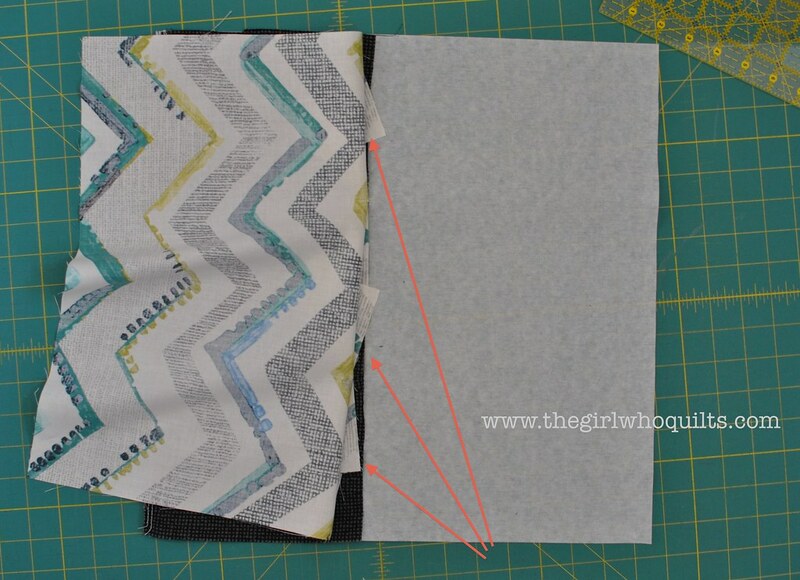 Now line up the raw edges of the pillow front and back, and sew using a 1/2" seam. On the bottom edge of the pillow where you installed the zipper, pull the zipper ends out and away from the seam, and stitch from the corner up to the zipper seam, as shown below. 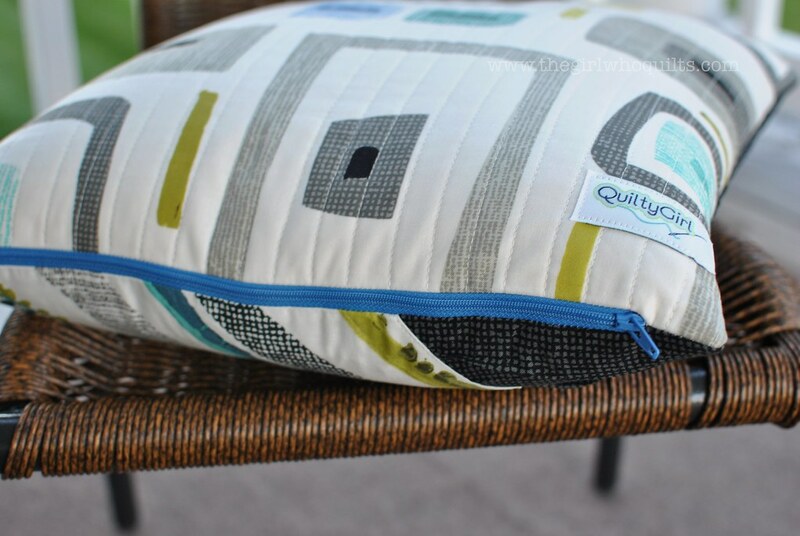 Turn your pillow cover right-side out, poke the corners out nicely, and give it a light press with your iron. Now you can insert your pillow form, and you're finished! I hope you enjoyed this tutorial! If you have any questions, feel free to contact me through my blog. Thanks Nikki! 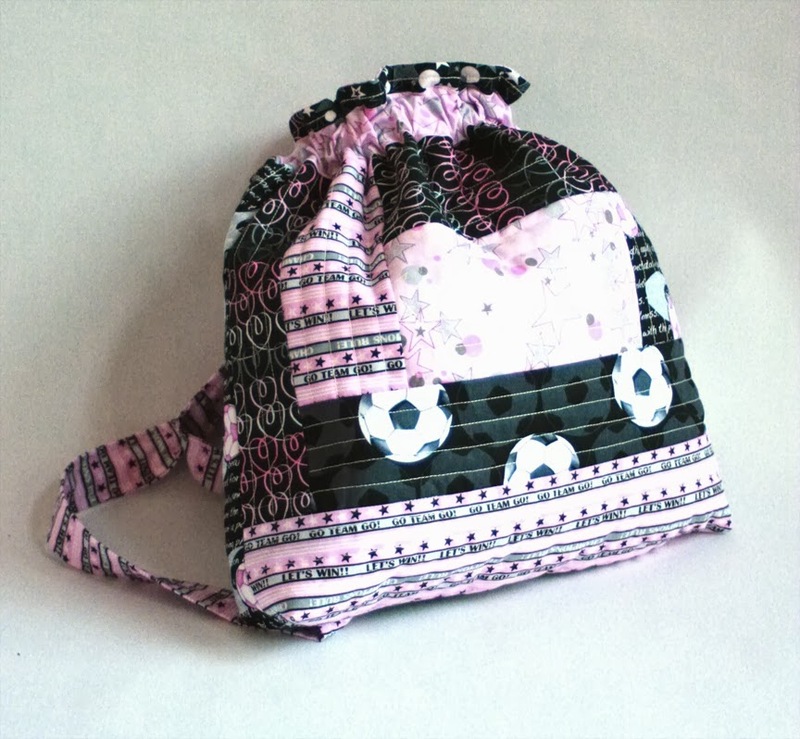 What a great way to use these prints! Head over to Nikki's blog to find out how you can enter to win a fat quarter bundle of Cachet! Welcome! 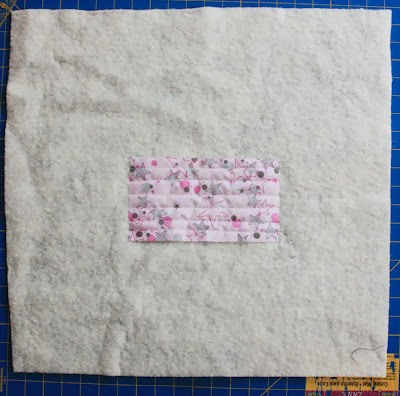 It's Day 3 of our September blog hop, and we're thrilled to have Svetlana from s.o.t.a.k handmade here sharing a clever notebook cover design using Greta Lynn's Britain's Best collection from Kanvas. We hope you enjoy Svetlana's tutorial! 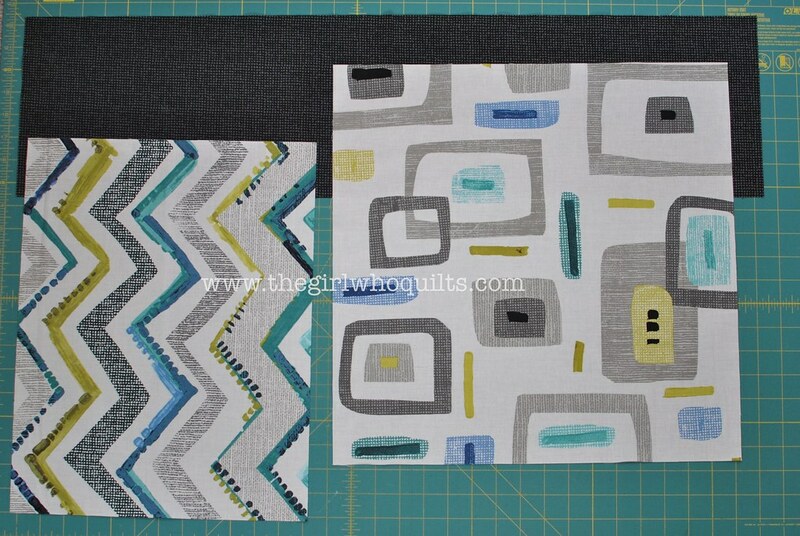 Keep reading to find out how you can win a fat quarter bundle of these fun prints, and find the links for the hop's other tutorials! Hello, my name is Svetlana Sotak and I blog over at s.o.t.a.k handmade. I'm so glad to share these notebook covers with you today. Let's start, shall we? 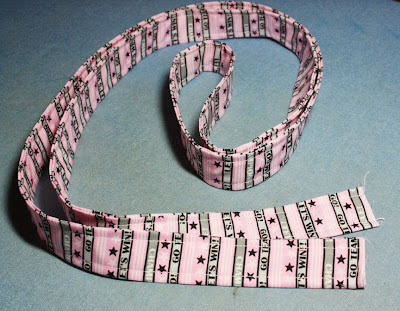 Oh, all the seams are 1/4" unless otherwise stated. 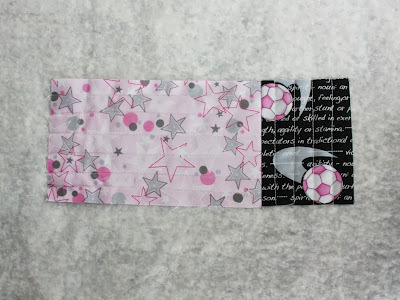 Arrange the fabric for the exterior of the cover as shown in the picture. 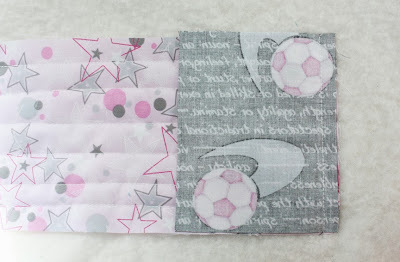 Stitch all three parts together and press the seams. 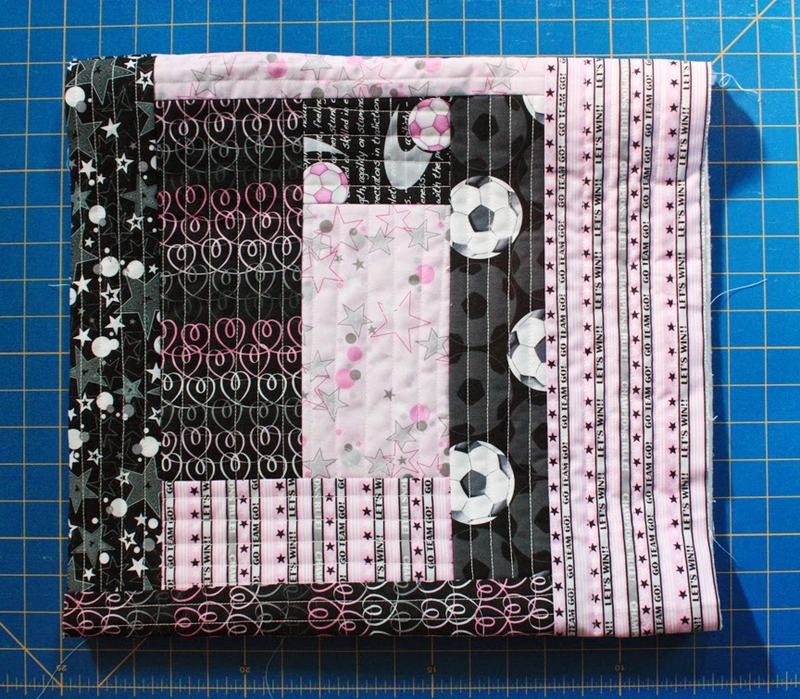 The panel now measures 11" x 28-1/2". 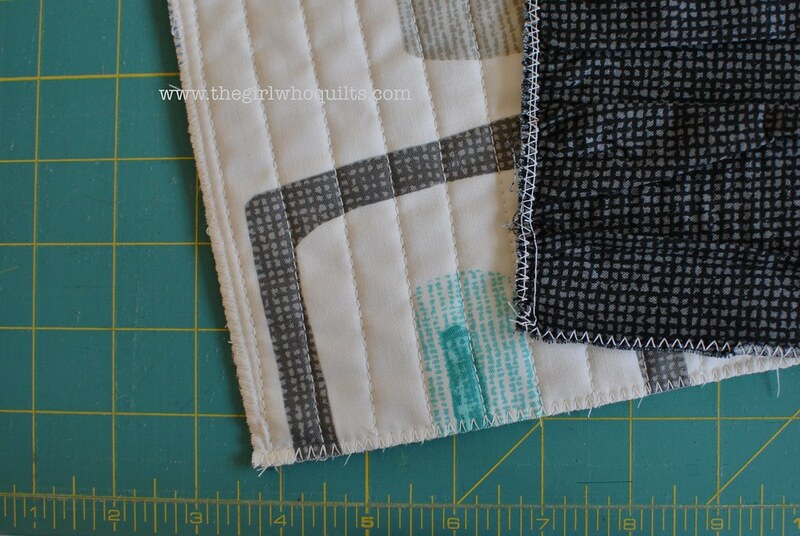 Following the manufacturer's directions, fuse the 11" x 28-1/2" interfacing to the wrong side of the main panel. Hem both 11" edges of the main panel (fold 1/4" under, then fold 1/2" under, stitch in place). Place the main panel right side up. 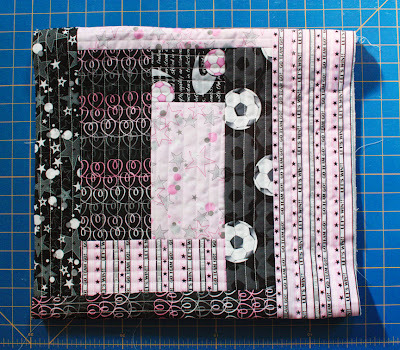 Form the flaps by folding the main fabric over at 5-1/2" mark from the edges of the main panel. 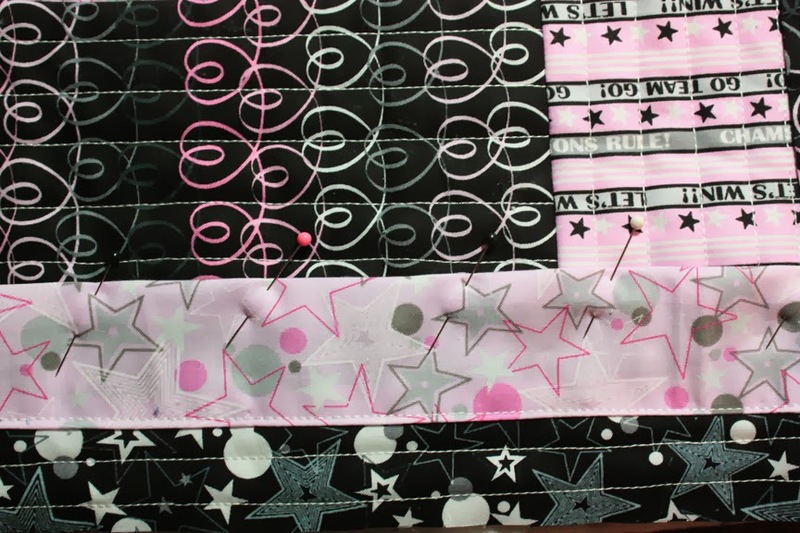 Pin, stitch in place using 1/8" seam allowance. Your main panel now measures 11" x 16". 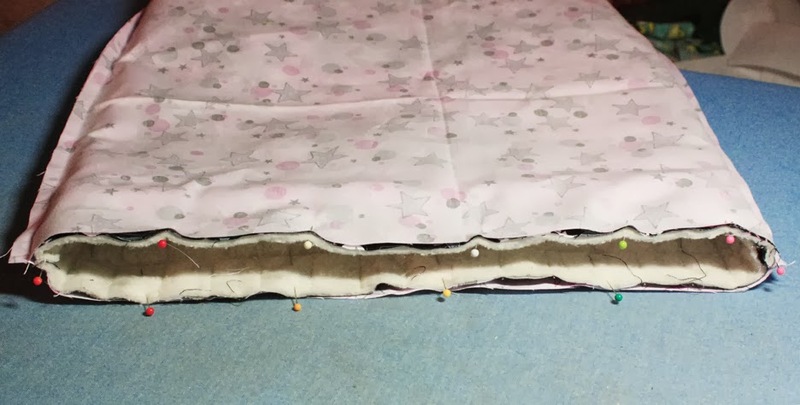 With lining fabric right side up, place the main panel on top of it (right side down), right sides of the lining fabric as well as the main panel are touching. Pin and stitch all the way around, making sure to leave a 4" opening on the bottom for turning. Trim the corners, press the seams open, and turn the cover right side out through the opening from the previous step. 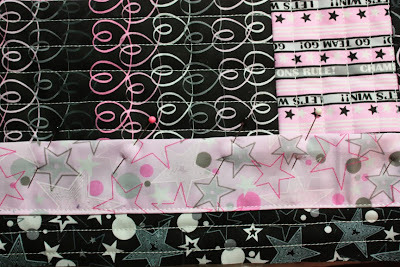 Press, pin the opening closed, and stitch all the way around the cover using 1/8" seam allowance. Give it one more quick press and you're all finished!!! Wasn't that easy? Now go ahead and make covers for all your notebooks. Thanks so much for reading, everyone. Hope you enjoyed the tutorial! 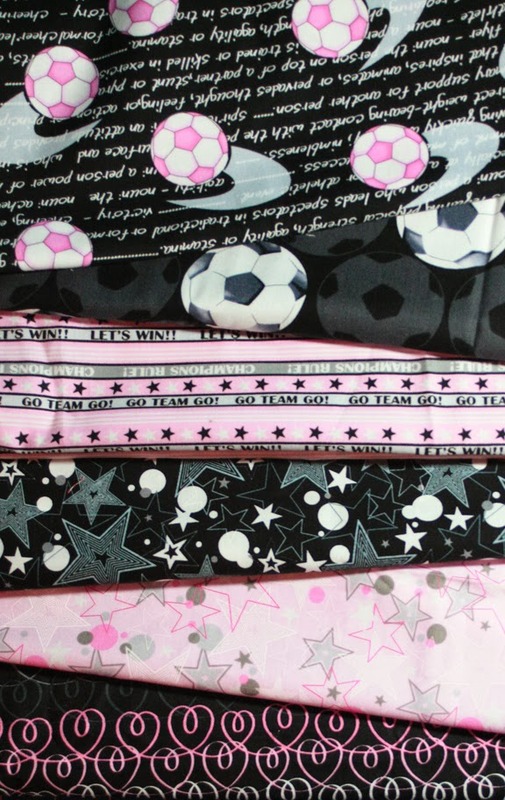 Head over to Svetlana's blog to find out how you can enter to win a fat quarter bundle of the Britain's Best fabrics.